This weekend, six of the best teams Counter-Strike has to offer will venture to South America to compete at BLAST Pro Series São Paulo 2019. 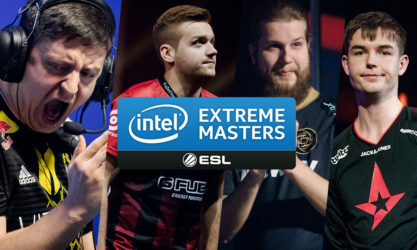 The cast of teams in attendance includes six of the eight IEM Katowice playoff contenders and needless to say, the competition is going to be cutthroat at the $250,000 event starting on March 22. Let’s get into the details of who you’re going to want to look out for in this week’s CS:GO Snapshot. Throughout the countless tournament previews we’ve covered on CS:GO tournaments, we are always trying to identify a potential weak spot or shortcoming of Astralis that would warrant betting against the global titans – but at this point, it’d be almost impossible to argue against them. Coming off what was a historic season in 2018 and a sheer dominating display at IEM Katowice where the Danes gold medaled whilst only dropping a single map in the entire tournament, Astralis is scarier than they’ve ever been. Astralis is better than good, they have maintained a healthy distance ahead of their international competition for over a year now and the game of ‘catch up’ that the rest of the professional CS circuit has been trying to play never seems to get any nearer. With their core roster all being recognized among the HLTV’s Top 20 players in the world and coach, Danny “zonic” Sørensen, whom has arguably the most sophisticated and efficient approach to managing a group of superstars that the game has ever seen, Astralis is always a heavy contender for first place in every event they attend. The pool of teams in São Paulo is strong however, and as always, the Danes will have to come out guns blazing to win – though, it’s quite rare you see ever see a slow start from them. Per the theme of last year, Liquid seems the only team truly able to test Astralis in a BO3, an event we saw them overcome this year at the iBUYPOWER Masters IV where Liquid trumped the Danes in the Grand Finals. All in all, Astralis performances have been far too strong and consistent to think they would bow out of the tournament in any place other than first. Last season, Liquid stood at the precipice of success – however, they would fall short in many instances in making that leap, and in most cases, that barrier was Astralis. Despite boasting one of the most talented rosters in CS, Liquid’s primary drawback seems only to be themselves. 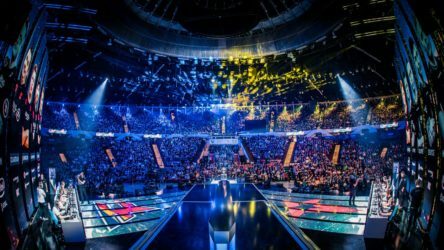 We’ve lost count of the times Liquid has looked a lock for first only to dissipate at the mercy of their opposition in heartbreaking fashion; most recently, we saw the NA group – for lack of a better word – choke on the most paramount stage at IEM Katowice against ENCE, which thwarted the Astralis vs. Liquid Grand Final that was staged at the start of the playoffs. With this rollercoaster style of competing, we can only assume this is a mental roadblock the team will have to learn to overcome. Per the strengths of this team, again, they do boast one of the best lineups in terms of raw talent CS has to offer. Beyond just being an all-around sturdy cast, you have players like Keith “NAF” Markovic that are superstar individuals with an incredible mind and game awareness that can be the difference makers in rounds. The addition of Jake “Stewie2K” Yip in place of Epitácio “TACO” de Melo during the player break was another move that we believe will benefit Liquid in the long run. Besides that of their Quarterfinal collapse in Katowice, the team looked fiery and lethal; if they can maintain that energy throughout the tournament, they’ll be a true contender to make it into the Grand Finals. However, as we’ve seen so many times with Liquid, it makes us weary to promise anything. Whereas a month ago, we probably wouldn’t spend time talking about FaZe in this tournament, which is somewhat of a mad notion barring this team’s pedigree. In reality, FaZe’s performance in the last several months have been truly lackluster; in the larger scheme of things, yes this team amongst the best in the world, but in the context of the FaZe Clan brand, it’s probably safe to say many of us have been unimpressed. There was a lengthy period that lasted until the end of the season where things just didn’t seem to click for FaZe – results were mixed, chemistry was off and the team just didn’t look or feel themselves anymore. One example of this disfiguration was Nikola “NiKo” Kovač taking head of the in-game leader role midway through the FACEIT London Major in place of Finn “Karrigan” Andersen, a key change that raised a lot of questions about the team. Since then, Karrigan has moved on and the team has filled his role with Dauren “AdreN” Kystaubayev as a stand-in. Though, FaZe did pronounce AdreN would be with the team for the foreseeable future until they find the right fit for them and in the meantime, his presence actually seems to mesh well with this squad. So what can we expect from FaZe in São Paulo? Well, something tells us this squad has a fair chance at the Top 3 here after seeing them start to rebuild in Katowice after a long, gloomy period. The competition is undoubtedly stiff with hometown heroes MIBR and of course, the Cinderella story, ENCE, after their spectacular run at IEM Katowice from the qualifiers all the way to the Grand Finals. As for who takes home the gold, we’ll just have to wait and see as the action kicks off on March 22.